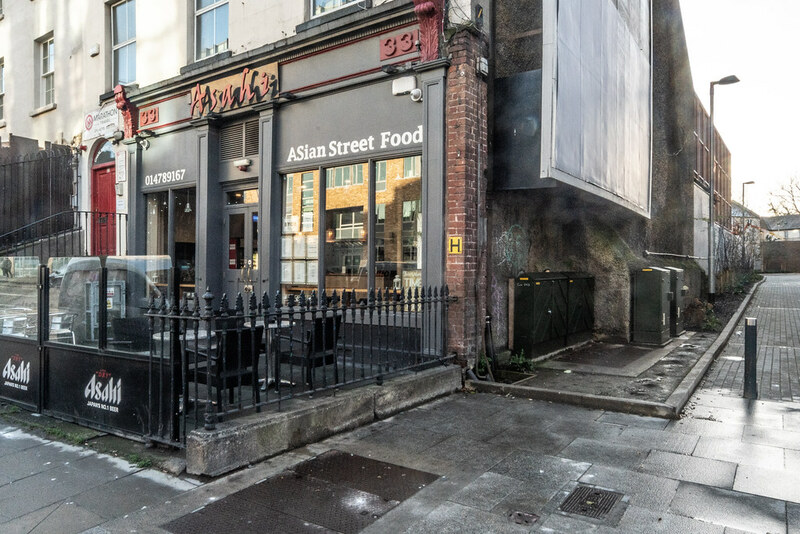 This restaurant located in the heart of the rapidly rejuvenating Charlemont Street,Grand Canal,Portobello district of of Dublin. As you may have noticed from my photographs and descriptions every street in Dublin has an interesting history and Charlemont Street is no different. 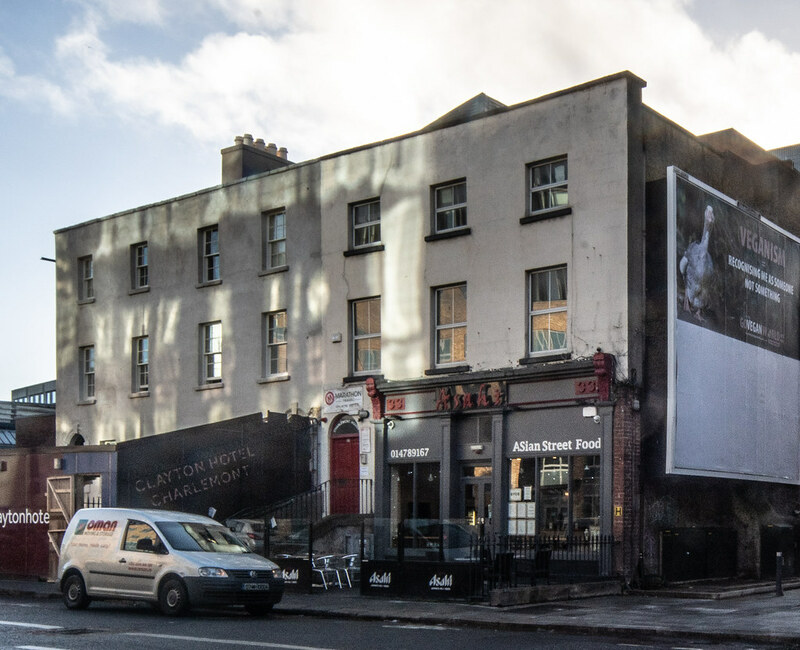 Charlemont Street was the home of ffrench-Mullen House, built in 1941 and designed by Michael Scott, one of the most renowned Irish architects responsible for amongst others, Busaras and the Abbey Theatre. Demolition work began early in 2014. Independent city councillor Mannix Flynn sought to save Ffrench Mullen House, because "its demolition was ethically wrong given the block was a one-off social housing unit, designed by Michael Scott in 1944 during the Emergency”, and that it should be reused. Madeleine ffrench-Mullen (30 December 1880 – 26 May 1944) was an Irish revolutionary and labour activist who took part in the Easter Rising in Dublin in 1916.
ffrench-Mullen was a member of the radical nationalist women's organisation Inghinidhe na hÉireann. In 1913 during the Dublin Lock-out, she worked in the soup kitchen in Liberty Hall. She subsequently joined the Irish Citizen Army (ICA). In the Easter Rising she worked in a first aid tent. She was arrested following the Rising but released the following month. She joined Sinn Féin and was elected to Rathmines District Council in 1920. Madeleine ffrench-Mullen and Kathleen Lynn established Saint Ultan's Children's Hospital, also known as Teach Ultan, was a female-run hospital for infants at 37 Charlemont Street, Dublin in 1919. The hospital focused on children's health and wellbeing, an area that was perceived at the time as women's concern. In the aftermath of WW1 many health problems had arisen including a rise in venereal diseases such as syphilis, carried from soldiers returning home from war. Many of Ireland's infants of the time suffered from congenital syphilis (inherited disease from mother at birth) this was a driving factor in the opening of St Ultan's hospital. Tuberculosis was endemic in Ireland during its time as a British colony. Against steadfast opposition by the State and the Catholic Church, Lynn and ffrench Mullen established a vaccination project, vaccinating thousands of impoverished children who would certainly have succumbed to TB without their vaccines. Their success led to the foundation of Ireland's BCG programme, which has vaccinated all babies since the 1950s. Madeleine ffrench-Mullen died in a Dublin nursing home on 26 May 1944, aged 63. She is interred with her parents, St Lawrence (1846–1895) and Margaret (1857–1912), as well as her younger brothers (whom she outlived), St Lawrence Patrick Joseph (1890–1891) and Douglas (1893–1943), in the ffrench-Mullen family plot in Glasnevin Cemetery. Her funeral took place on the same day as the 1944 General Election. Lynn died in 1955 and is interred in Deans Grange Cemetery.